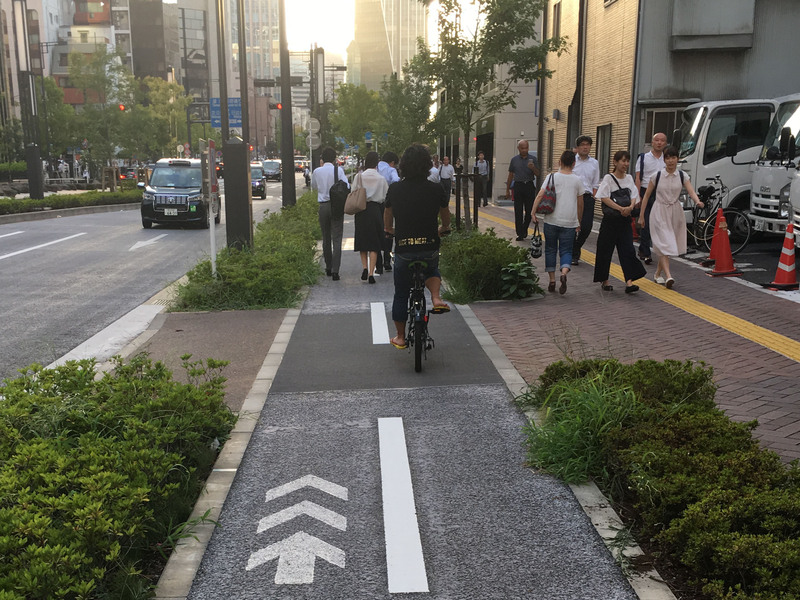 Tokyo, 9th most bicycle friendly city. If you have spent any time in Tokyo, this might sound surprising. 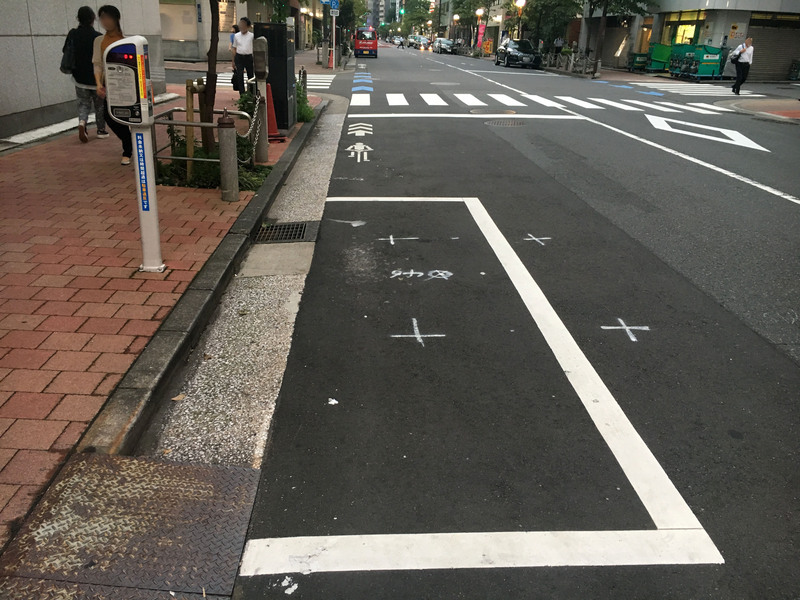 Yes, bike lanes are popping up around the city, but they are usually poorly separated from pavements or traffic, often lead nowhere and usually blocked by at least one or more pedestrians or parked vehicles. Bicycle parking also has its own challenges. The assessment seems to be based on sheer numbers, and the numbers are pretty big. “20% of the more than 20 million commuters ride their bikes to the nearest train or subway station. This is equal to the total population of Berlin. 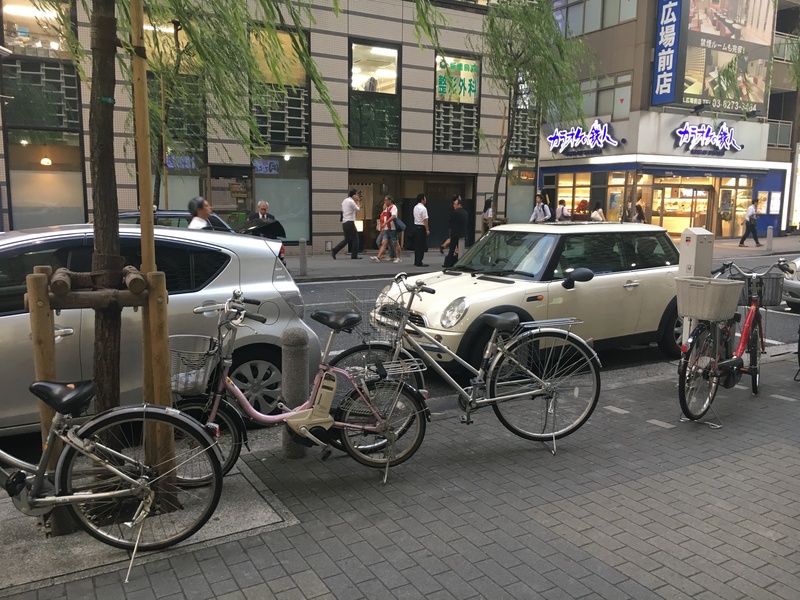 Japan has a very high bicycle density. 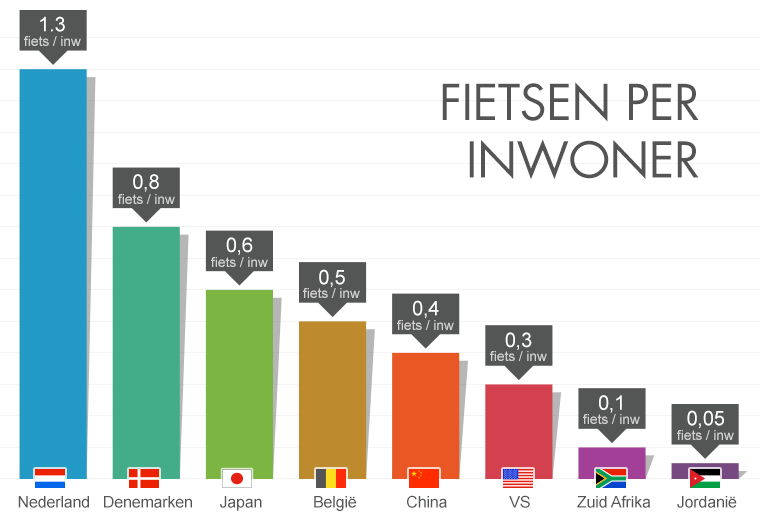 The 3rd highest in the world at 0.6 bicycles per capita after, surprise, surprise, Holland (1.3…!) and Denmark (0.8). Even with MoBike, Ofo and the like flooding the streets with share bikes, China trails in 5th at 0.4. Bicycle sales in Japan are not increasing, but still huge. Domestic: 890,587, of which 568,025 were electric assist “pedelecs”. That is a total of about 7.67 million in all categories – mostly mamacharis. Virtually 100% of the pedelecs are also mamacharis. Germany is rapidly becoming the centre of the electric cargo bike world. 21,000 electric cargo bikes were sold in Germany in 2017, an increase of 42% over 2016. That is 3% of Germany’s total e-bike market, which itself was an impressive 720,000 out of a total of 3,850,000 of bicycles in all categories, or about 20%. Japan’s long-established and very wonderful delivery services are struggling. As in the US and Europe, the delivery market in Japan continues to grow, most of the growth fuelled by e-commerce. 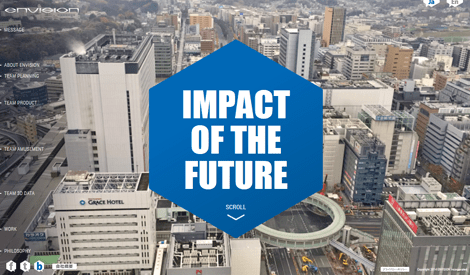 Combined with an aging workforce, decades of zero inflation and the high expectations of Japanese private and corporate customers, this has stretched delivery services past their breaking point. Market leader Yamato Takyuubin has eliminated daytime deliveries and raised prices for the first time in 19 years, 2nd place Sagawa Kyuubin has rejected Amazon deliveries outright and the Post Office (3rd place), which took up most of the slack from Yamato’s reduced deliveries, has hit the same brick wall of lack of staff and overloaded distribution centres that forced Yamato and Sagawa to make those decisions in the first place. 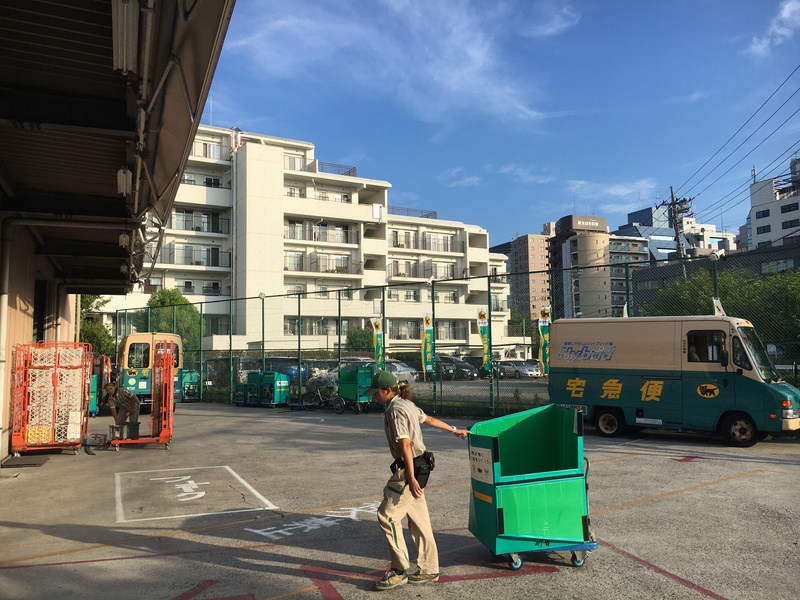 In Japan, one of the biggest problems is the cost of re-delivery, which is still free (leaving an undelivered parcel on the doorstep or behind a dustbin is never going to happen here). Out of 4 billion deliveries in 2017, 800 million, or 20%, had to be re-delivered, using a man-hour equivalent of 90,000 people per year and at an environmental cost of 42,000 tons of CO2. There is a business opportunity here, and the Stroke Cargo Trike could be a part of it. 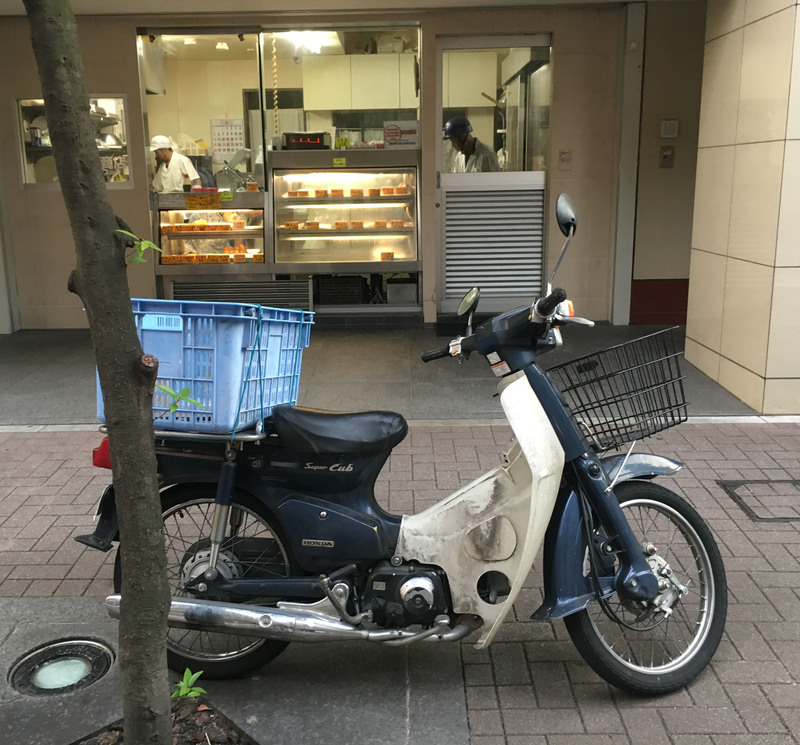 In Japan’s delivery vehicle market, the Cub is a full-grown Grizzly. …not to mention the huge fleet of newspaper delivery bikes and demae food bikes. Forget your Model Ts, your Beetles and your Corollas, the Super Cub will probably never be challenged as the most produced automobile in history, passing 100 million units last year and still in production virtually unchanged after 60 years. However, gasoline-powered small bikes will soon become uneconomical to engineer for coming environmental laws, but Honda is not letting go without a fight, working together with the post office to develop new electric scooters and charging infrastructure. Meanwhile, the Super Cub’s birthday celebration (a highly recommended read) carries on at the Honda website.